Display upgrade vs. SSD downgrade. 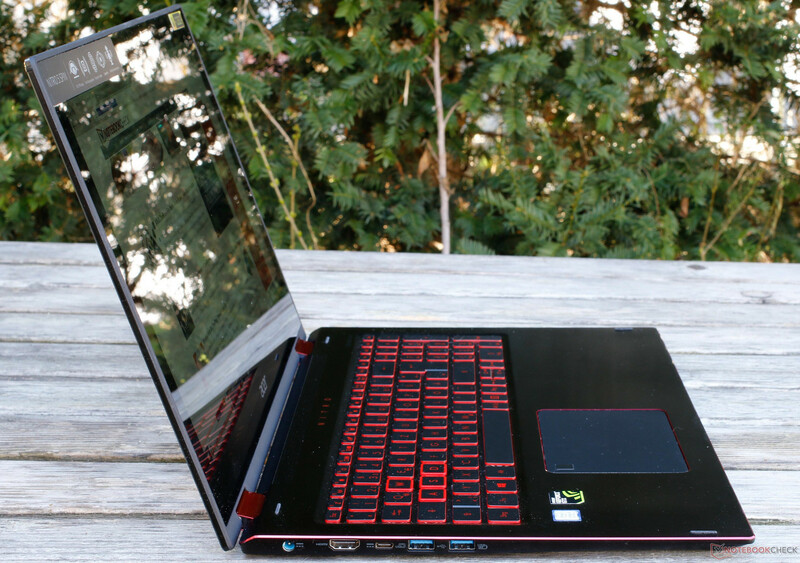 On the outside, the Acer Nitro 5 Spin is easily recognizable as the gaming version of the Acer Spin 5. However, trying to find other differences between the two convertibles is more difficult - there do not seem to be any at first glance. Is the Nitro hoping to reach gamer status by its red stripes alone, or does it have more to offer? We have put it to the test. 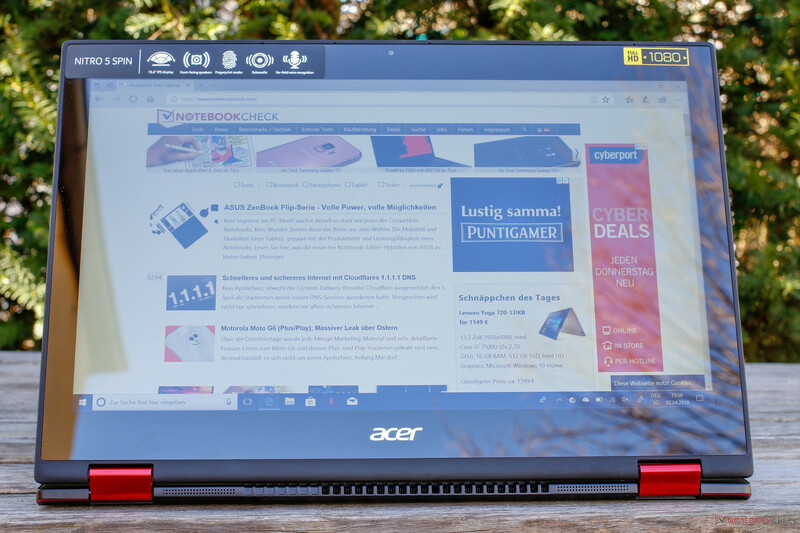 The Acer Nitro 5 Spin offers an interesting combination: A convertible combined with a high-performance dedicated graphics card that should have both the multimedia and the gaming sector covered. 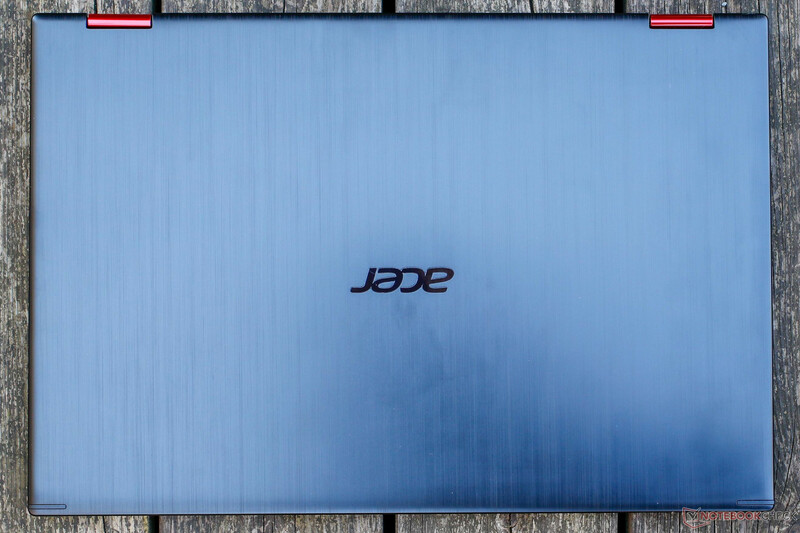 Apart from its red design elements, it does not seem as if the Nitro differs very much from the gray, standard Acer Spin 5. After a closer look, we did notice a few modifications that might be decisive for your purchase decision. Our 15.6-inch test unit is equipped with an Intel Core i7-8550U of the current Kaby Lake Refresh series and comes with 8 GB of DDR4 RAM. You can also find a cheaper version of this model available, which is equipped with a slightly lower-clocking Intel Core i5-8250U. Our device has two storage devices - a 256-GB SSD from Micron and a 1-TB HDD from Western Digital. 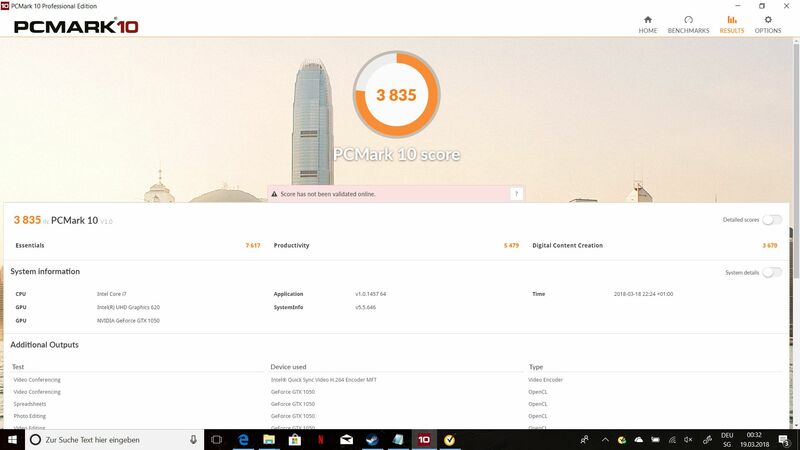 Apart from the manufacturer's Acer Spin 5, which we already reviewed in detail in December 2017, our main comparison devices are other convertibles such as the Asus ZenBook Flip 15 (i7-8550U with a GeForce GTX 1050) or the HP Spectre x360 (i7-8550U with a GeForce MX150). 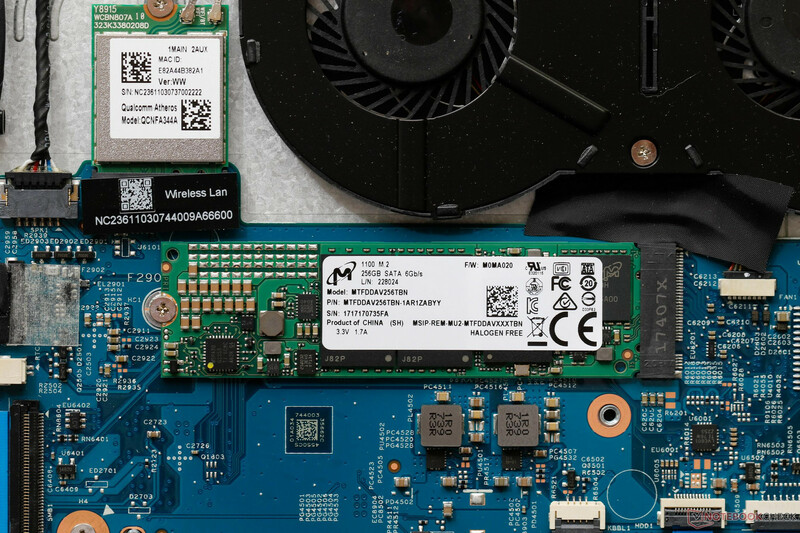 We have also included the Lenovo ThinkPad T480 (i7-8550U with a GeForce MX150) and the Xiaomi Mi Notebook Pro i7 (also with an i7-8550U and GeForce MX150), which is becoming more and more popular in Europe. 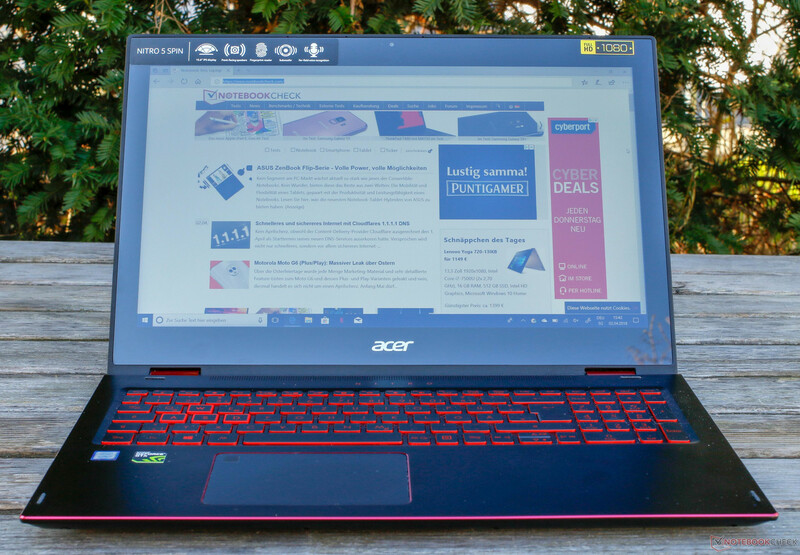 We want to find out whether the sporty Acer Nitro 5 Spin with its red design elements is suitable for gaming since the GTX 1050 is not sitting in a 3-cm-high (~1.2 in) case with sufficient space for ideal cooling, as it does in the enormous Acer Predator Helios gaming series, but in a snug 1.8-cm (~0.7 in) convertible that can also be used as a tablet. Therefore, let us start with a closer look at the case. The case of this 2-in-1 tablet seems to be of high quality and very stable; its form factor is the same as that of the "normal" Acer Spin 5. The Nitro, however, has a dark metal look with red gaming highlights. 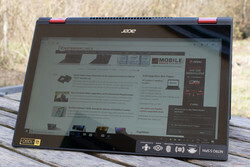 The display cover features an Acer logo with a brushed hairline finish in the center. It is connected to the base by two stable red hinges, also in aluminum look. The red highlights of the Nitro continue to run like a thread throughout the entire design concept. 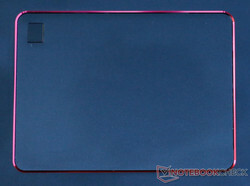 Both the beveled edge around the case, and the area around the touchpad shimmer in metallic red. Naturally, the same applies to the keyboard where the lettering and the sides of the individual keys are also red. Another thread that runs throughout is the fingerprints on the back of the display. The Nitro not only shows all marks easily, it also makes them difficult to remove. The bottom of the base unit is kept simple - it is made of metal with four narrow rubber pads and two air vents running across the device. There is another air vent at the back of the device together with two small openings for the speaker, which means the sound output goes in the right direction even in tablet mode. Overall, the device seems to be very stable and of high quality. Even the display lid is quite warp-resistant. Strong pressure on the back of the display can cause some waves on the display, but these are minimal, which proves how stable the display lid is. The hinges also offer sufficient resistance. However, shaking the Nitro 5 Spin slightly at an opening angle above 90 degrees does cause the display to open even wider. However, the overall metal construction appears stable enough and the display does not continue wobbling for very long. 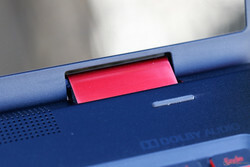 The hinges should be tight enough to keep the display in position while using the stylus for inputs. By the way, the Nitro can be opened with a single hand, as the base is heavy enough to not lift off the table. However, Acer forgot to add, or decided against, an indentation on the case, which makes opening the device a little more difficult. The tablet is not very small. The Acer Nitro 5 Spin has a footprint of 38.1 x 25.8 cm (~15 x 10.2 in) and is 1.79 cm (~0.7 in) high. As the case has been taken over from the Acer Spin 5 without any changes, the two devices have the same size. The weight of our model with its second 1-TB HDD lies around 2.2 kg (~4.9 lbs). This would be an acceptable weight for a 15-inch notebook, particularly considering the very good workmanship and high-quality material. But we feel that the Nitro is a little too heavy and large to be used as a tablet. 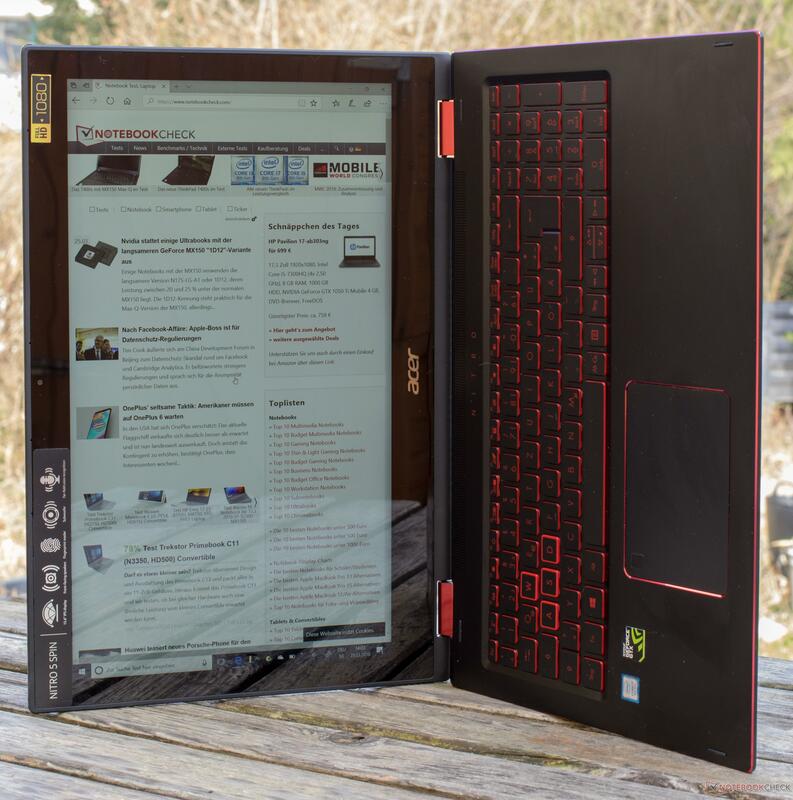 You have to hold the notebook at half an arm's length only to fold the display back into tablet mode - this makes the Acer a little unwieldy for everyday or mobile use as a convertible. The port selection can be described as mid-range and sufficient. 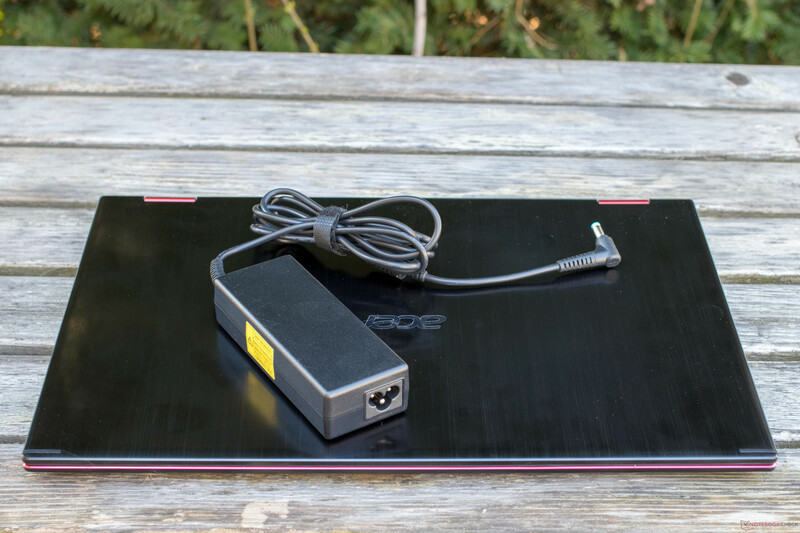 On the left side, there are two USB 3.0 ports, one USB 3.1 Type-C (Gen 1) port and a USB 2.0 port, as well as an HDMI port and the power supply. Although the DisplayPort is missing, this can be "added" via a simple USB 3.1 Type-C adapter. The right side offers two status LEDs, the typical volume rocker, a combined 3.5-mm audio jack, an SD card reader, a USB 2.0 port, the power on/off button and a Kensington security lock. 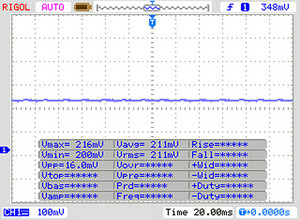 The left side in tablet mode. The right side in tablet mode. If you are a passionate gamer, you might be wondering where the Ethernet port has disappeared to. 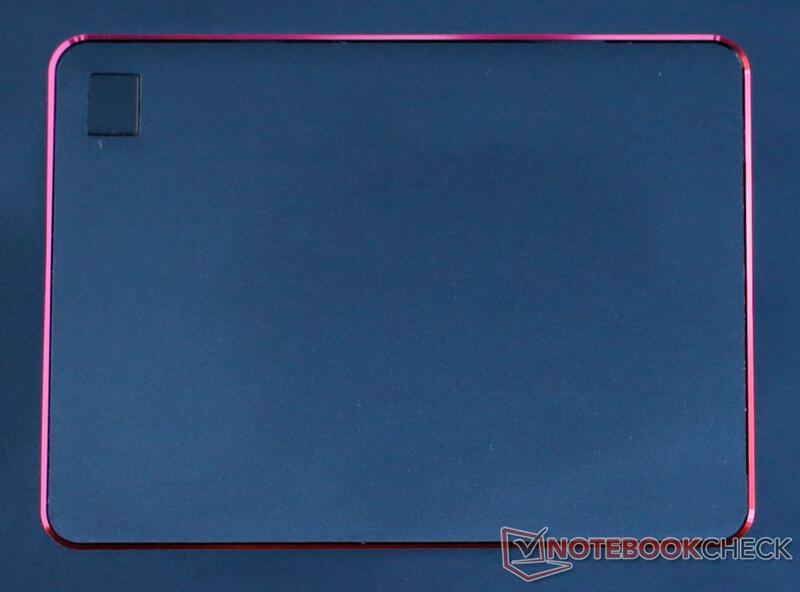 Acer has decided that the Nitro, the red gaming version of its Spin 5, does not need a network connector. For real gamers who play online games and are looking for low ping and latency times as well as faultless transmission, this might make the Nitro completely unsuitable. 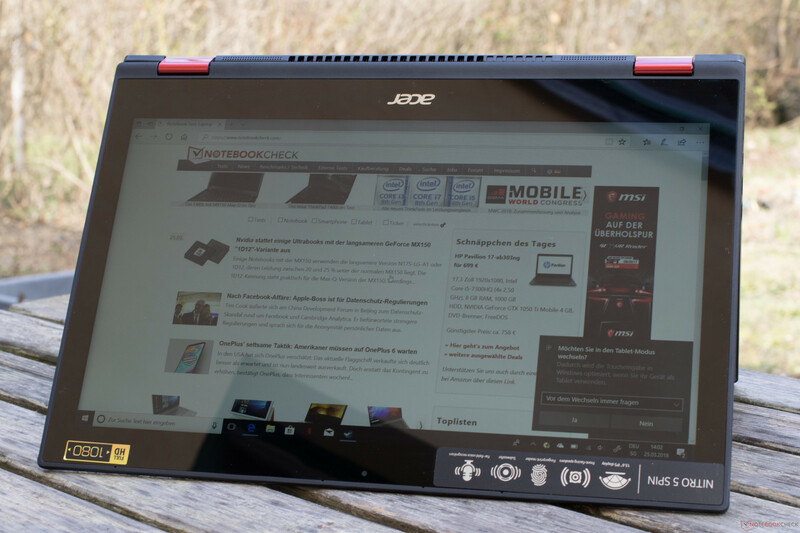 The power button is not positioned very well for a convertible - if you want to use the Acer as a tablet in portrait mode, you might easily turn the Nitro off by mistake. Apart from this, the port distribution is very practical, particularly on the left side. 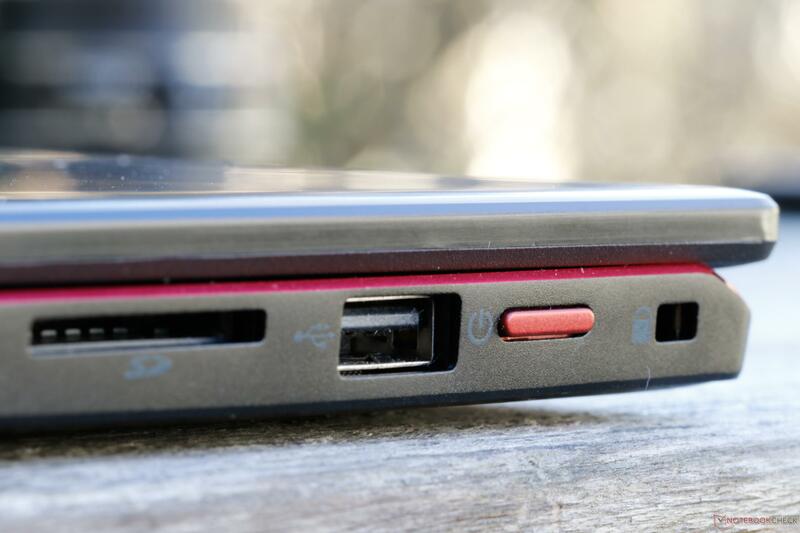 The two USB 3.0 ports are closest to the user, then come the HDMI port and the power supply. The SD card reader does not have a spring and you simply have to push the SD card into the slot, which is usually the more user-friendly version. The disadvantage of this method is that the card does not disappear into the slot entirely but always stands out slightly. 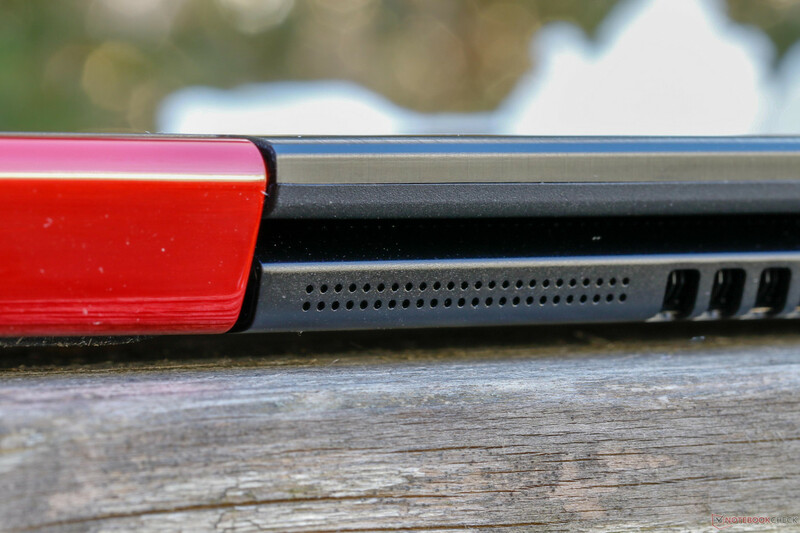 In the case of the Nitro 5 Spin, about half of the SD card stands out. 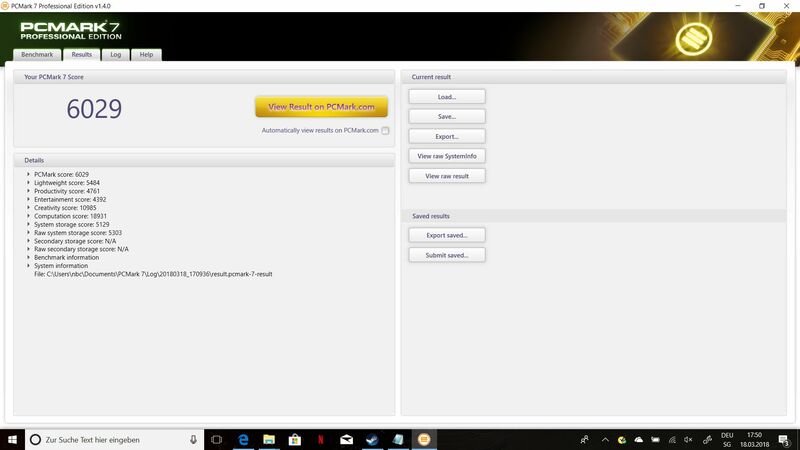 HWInfo shows us that the card reader RTS5129 from RealTek is only connected via USB 2.0. 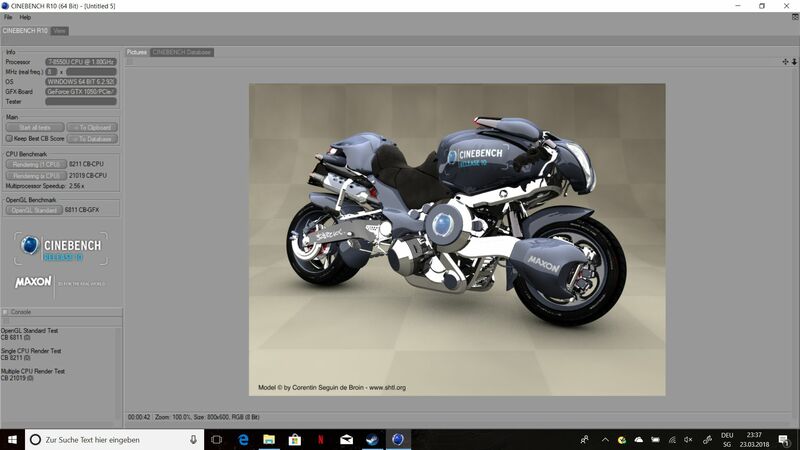 Therefore, the transmission speeds tested with our reference card, the Toshiba Exceria Pro SDXC 64 GB UHS-II, are rather unspectacular and place the Acer Spin 5 among the devices with average data transfer speeds at around 24.4 MB/s. 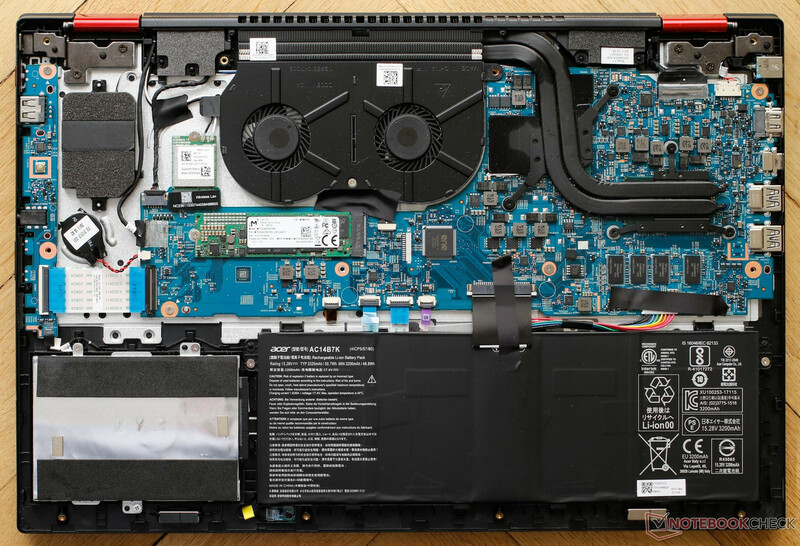 As mentioned before, the Acer Nitro 5 Spin only offers a Wi-Fi module from Qualcomm (QCA6174), but no Ethernet port. The Wi-Fi module supports 2x2 Multi User Input, Multiple Output (MU-MIMO) and Bluetooth 4.2. The fact that Acer does not offer a network connection via an Ethernet cable for the Nitro is a real shame. 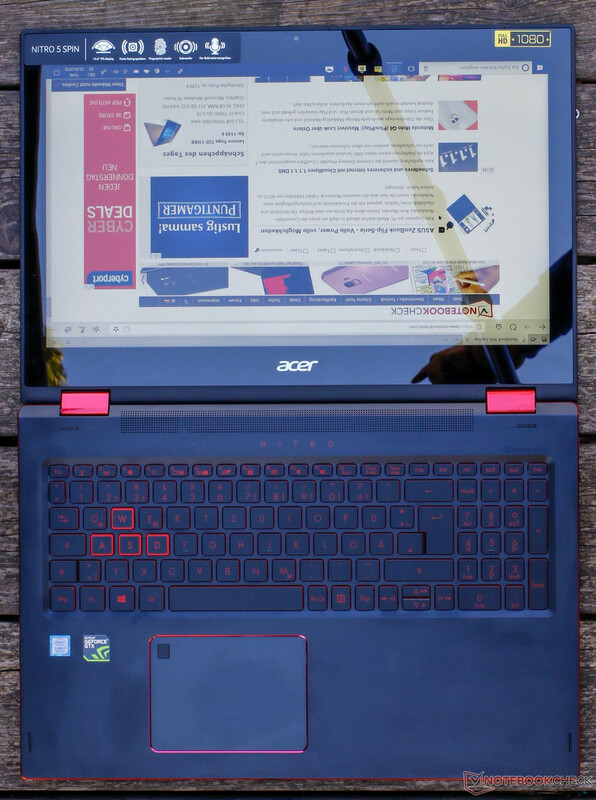 The data transfer rate measured in our benchmark is good and positions the Nitro significantly above the average multimedia device and even puts it slightly over its own non-gaming version Acer Spin 5. The transfer rate was stable throughout our test and reception was normal. Apart from the fingerprint sensor on the touchpad, the Acer also supports TPM 2.0 (Trusted Platform Module) and has a Kensington Lock on the right side. 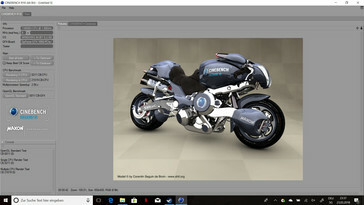 The Nitro comes with a limited trial period of Norton Security. The Acer Nitro 5 Spin includes a 90-watt power supply, but no other accessories. 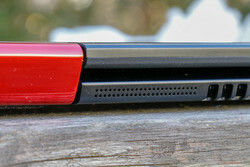 An input pen that can be used for the touchscreen, such as the Acer Stylus Pen, has to be purchased separately. The maintenance of the Nitro is not difficult: There are eleven normal Phillips screws that have to be removed in order to lift off the bottom of the base unit. After that, you have direct access to the SSD and HDD. 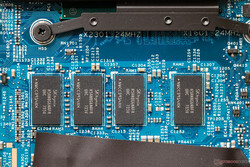 The Acer Nitro does not allow you to make changes to the RAM as this is firmly soldered on. Closing the device is also easy and fast. 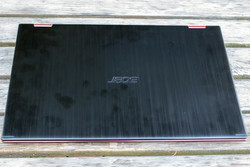 The manufacturer's warranty for this Acer convertible runs for 2 years and includes pick-up and return service. Please see our Guarantees, Return Policies and Warranties FAQ for country-specific information. 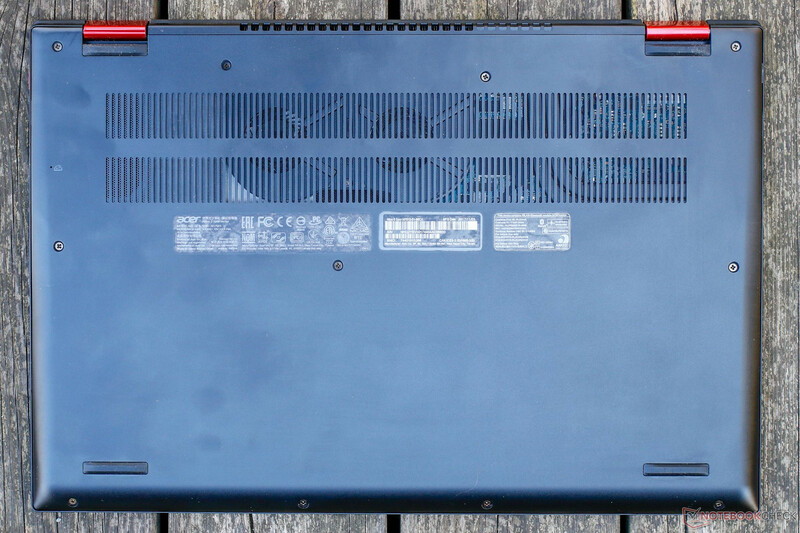 The Acer FineTip keyboard and the snugly fitted number block have red lettering that is sufficiently easy to read. The size of the individual keys is 15 x 14 mm (~0.59 x 0.55 in) on the main keyboard and a narrow 12 x 14 mm (~0.47 x 0.55 in) on the number pad. The enter and backspace keys are large enough, but the up and down arrow keys are very narrow and are positioned too close to each other. The entire keyboard is slightly sunk into the base unit, so that the device can be used easily in tablet mode without the user pressing a key by mistake. 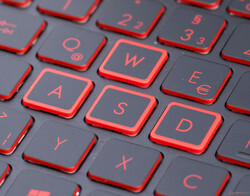 The four most important keys for gamers are highlighted. 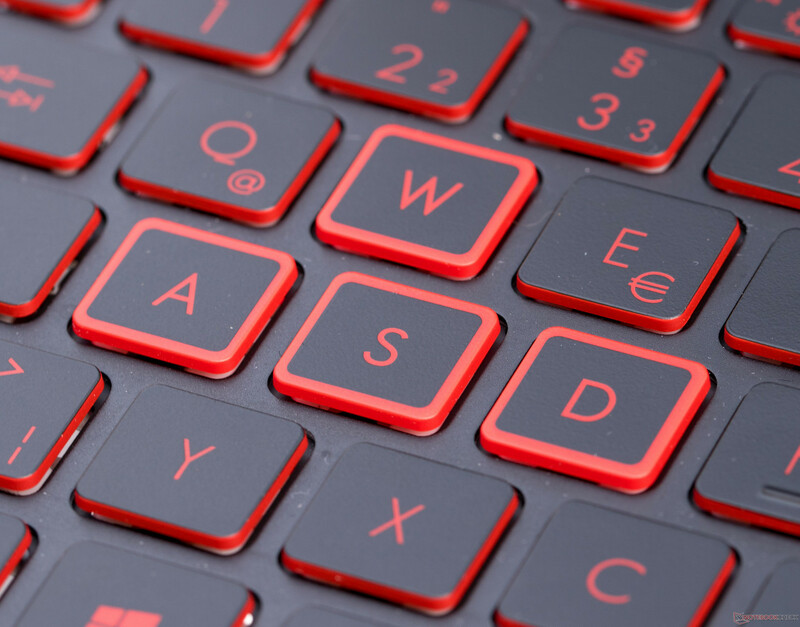 What is striking about the Nitro's keyboard is not only the red lettering and the red sides of the keys, but also the red WASD keys for gamers, further highlighted by bold lettering. Subjectively, the keys have a cheap, plasticky feeling and they rattle when you run your fingers over them. The sound when the keys are pressed reminds us not of high-quality material, but rather of thin, lightweight plastic. Nonetheless, the keyboard allows for fast typing and users who type regularly will not have any difficulties. The rattling keys are not so loud that they become bothersome, but not quiet enough to go unnoticed. Unfortunately, the keyboard backlighting is a little annoying, as it automatically turns off 30 seconds after the last key was pressed. 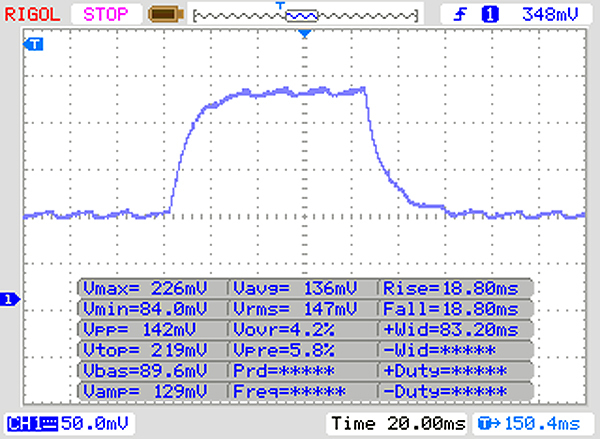 At night, this means that you regularly find yourself in front of a dark keyboard - even when running on power supply. 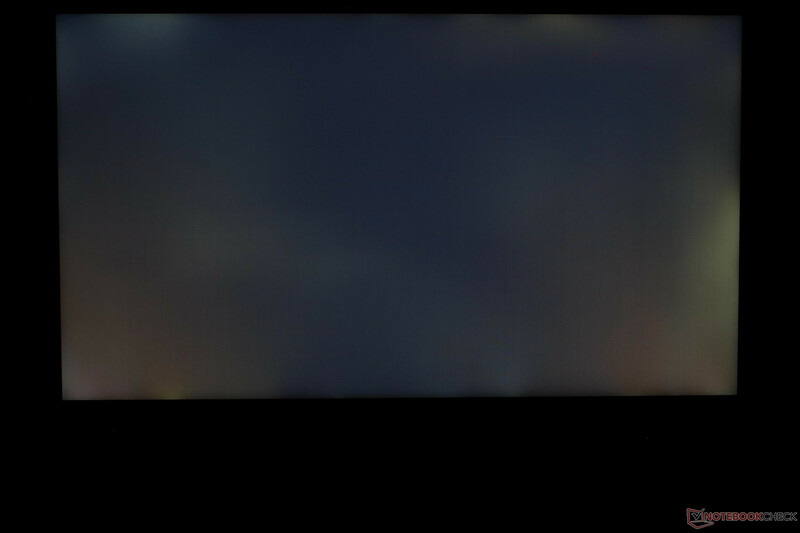 There are many entries in various Internet forums from users who are having difficulties with this issue, but it seems like the backlighting cannot be set to run all the time, nor can the duration of the backlighting be adjusted. 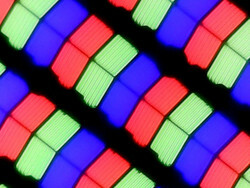 The surface of the touchpad is made of plastic and is 107 x 79 mm (~4.2 x 3.1 in) large. It responds well and quickly to inputs with one or two fingers. 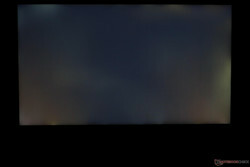 The ClickPad, however, takes a bit of getting used to as it is hard to make a click above the middle on the left side. The left bottom area of the touchpad is rather loose and it has two pressure points, similar to the shutter button on a camera. Simply placing the finger on the touchpad is enough to provoke the first click, although this does not do anything and is simply irritating. Stronger pressure then allows you to make a second, proper click to which the touchpad responds properly. 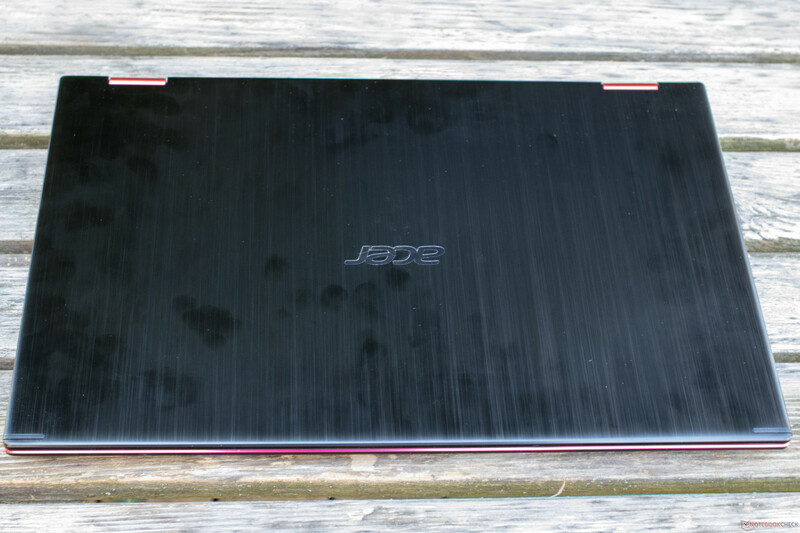 Acer has placed a fingerprint sensor that works quickly and reliably in the top left corner of the touchpad. A quick placing of the finger on the reader and you are logged-in. The touchpad is large enough for the fingerprint sensor not to get in the way. Acer did not automatically activate the fingerprint reader, as has happened on some other laptops. The Acer Nitro 5 Spin is equipped with a reflective 15.6-inch IPS touch display that has an FHD resolution of 1920x1080 pixels. It is produced by Chi Mei and its model number is CMN15D7. 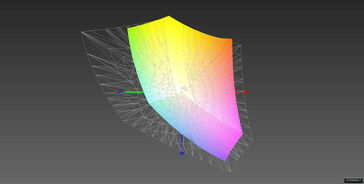 The display size and resolution result in a pixel density of 141 PPI. There are no alternative display options for the Nitro. 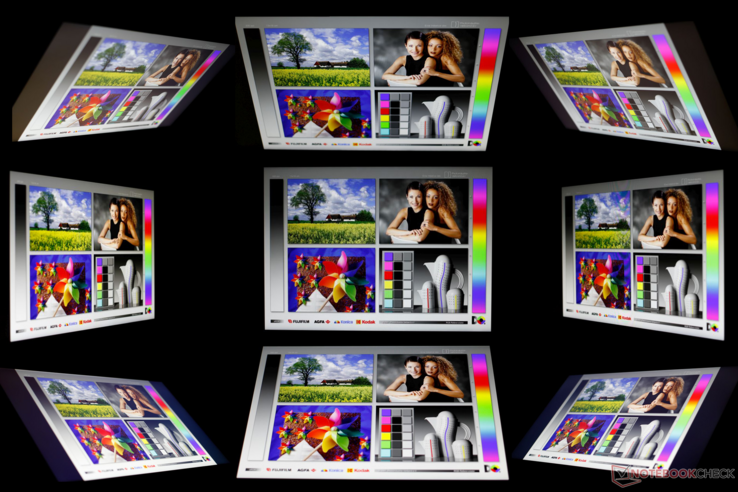 The display can reach a brightness of 332 cd/m², and even 345 cd/m² in the center of the image, while offering an even brightness distribution that is above average. Acer has decided to change the display manufacturer compared to the "normal" Spin 5, which has led to an increased brightness of over 100 cd/m². The gray and black/white response times are also better than those of the Acer's comparison models in our table. However, they are still too slow for real gamers and you will not get around connecting an external monitor for proper gaming results; IPS displays are not known for their speed, after all. 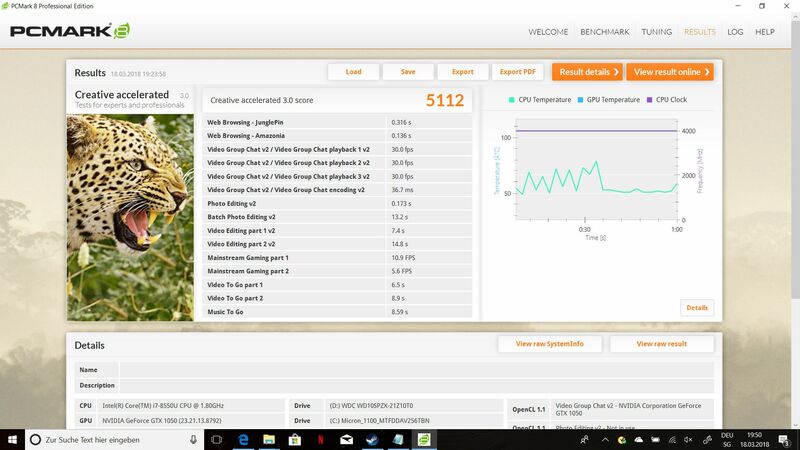 Compared to the Acer Spin 5, the Nitro's Chi Mei display scores have improved by 38% both for AdobeRGB and sRGB color-space coverage. Only the black value and contrast and the deviations measured with ColorChecker are not as good as those of the Spin 5. So, if a good black value is more important to you than response times or brightness, you might want to take a closer look at the "normal" version of the Spin 5 instead. As always with glossy screens, you had best look for a shady spot when using the device outdoors, as these kinds of displays are hard to read despite high brightness levels and things like trees are reflected in the background. As this is a convertible, there is no limit to the opening angle. The IPS display comes into its own here, particularly when used as a tablet. The content is displayed properly from every viewing angle, as you would expect from an IPS display. 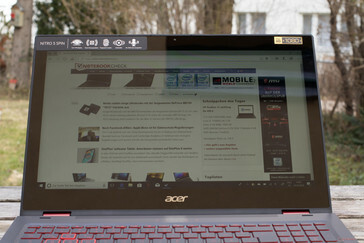 Acer offers two different processor versions in its online shop: The Intel Core i5-8250U and the Intel Core i7-8550U with a slightly higher base clock rate. 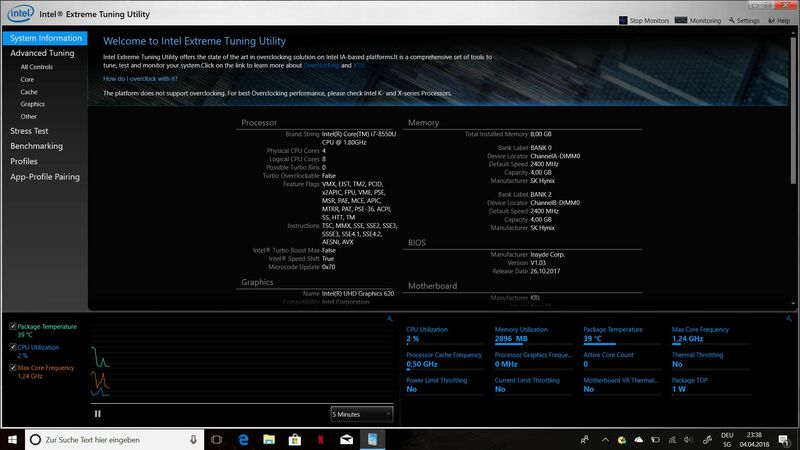 Both CPUs belong to the Kaby Lake Refresh series, offer four cores and can clock at up to 3.4 GHz and 4 GHz respectively in turbo mode. Our test unit is equipped with the faster Intel Core i7-8550U. 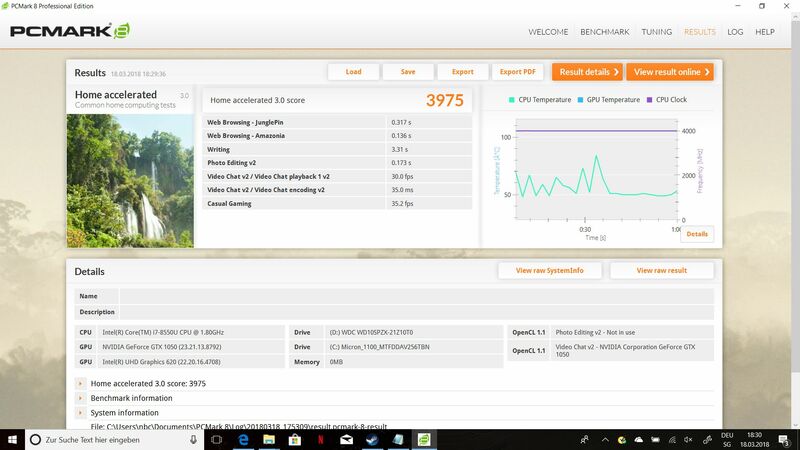 Our quad-core CPU includes the standard Intel UHD Graphics 620, but the device is also equipped with the dedicated Nvidia GeForce GTX 1050 with 4 GB of GDDR5 SDRAM. This should be able to display current games decently at medium details. 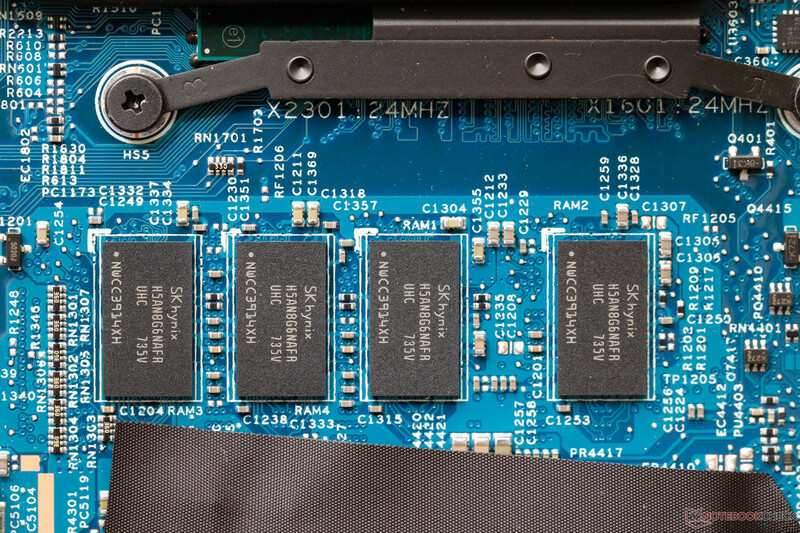 The Nitro also has 8 GB of RAM in dual-channel mode with two 4 GB units (DDR4-2400 SDRAM). The faster configuration with the Intel Core i7-8550U gives the Nitro a base clock rate of 1.8 GHz. The turbo brings the chip up to 4 GHz in two-core mode, but the maximum clock rate is limited to 3.7 GHz at full four-core load. 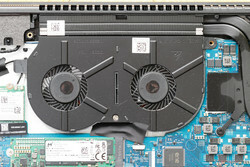 The TDP remains the same as it was for Intel's seventh generation, which is 15 watts. However, this time this is divided among four cores and eight threads. Compared to the Intel Core i7-7500U, we could imagine a performance increase of 40%. You can find detailed technical background information on the Intel Core i7-8550U in our tech section. 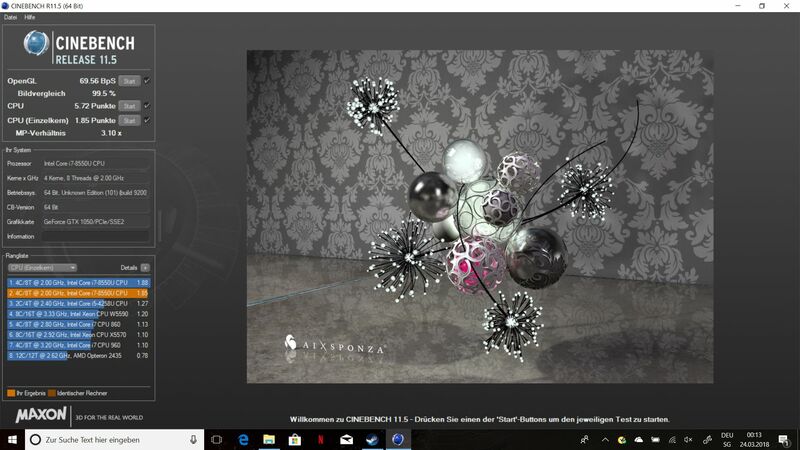 The Cinebench R15 benchmark shows that the Nitro's performance is close to the average of all notebooks equipped with the Intel Core i7-8550U in single-core mode. Among the convertibles, the Asus ZenBook Flip 15 takes first place and offers a 6% increase in performance, while the Lenovo IdeaPad 320s remains at the back of the table, as expected due to the slightly lower base clock rate of its i5-8250U. As usual, the multi-core test starts with a short-term turbo. 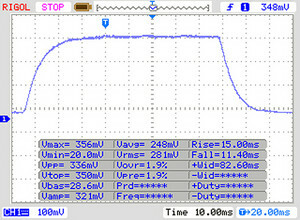 Thanks to a cTDP of 25 watts it reaches 529 points in the first round. The Nitro then settles down at around 500 points in the next rounds. This equates to throttling of about 5%. After 28 rounds, the results drop again and then remain at 480 points. 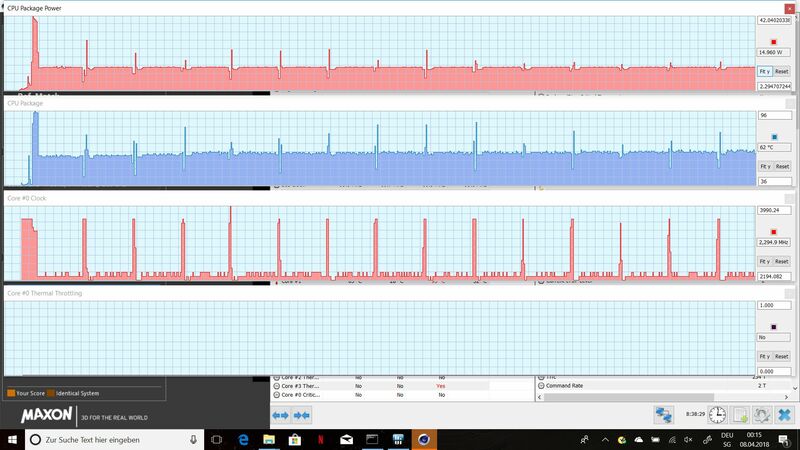 Therefore, our test unit reaches better results than the "normal" Acer Spin 5 most of the time and is just below the performance of the HP Spectre x360. The Acer Nitro offers very satisfying system performance, as did the non-gaming version Acer Spin 5 and both are on the same level here. Subjectively, the Nitro, with its dual-channel RAM configuration, reacts quickly and belongs to the faster models of our comparison devices. The Acer Nitro 5 Spin has a main storage device, which is a 256-GB SSD from Micron (Micron 1100, MTFDDAV256TBN) with an M.2 form factor and a 6-Gbps SATA interface. This is the device that the Windows operating system is installed on. Additionally, our model offers a 2.5-inch HDD from Western Digital (WD10SPZX) with 5400 RPM and a storage capacity of 1000 GB. 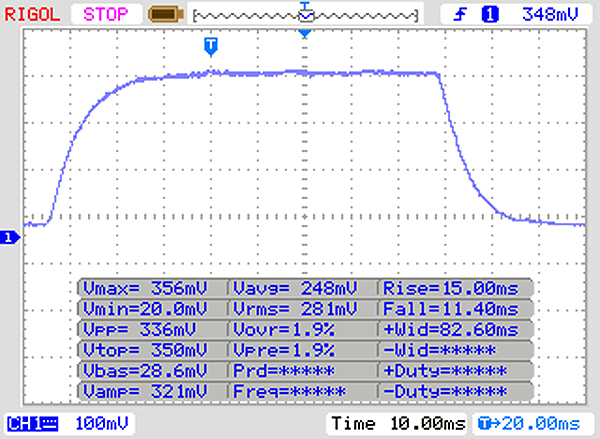 For the specification fans among you: The power consumption of the SSD is 3 watts during use and 0.055 watts while idling, that of the HDD is 1.5 watts during use and 0.5 watts while idling. 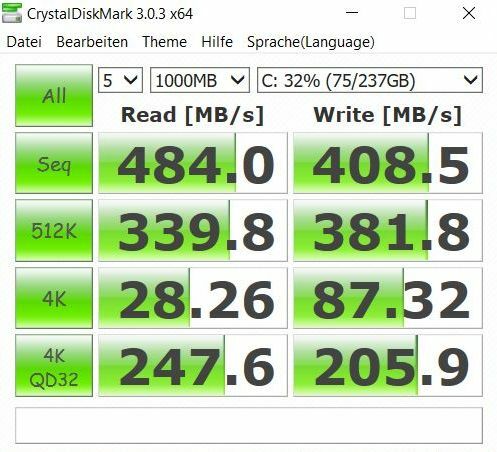 The benchmark results for the SSD are rather disappointing, unfortunately, but this is not the fault of Nitro, but of the Micro 1100 itself. 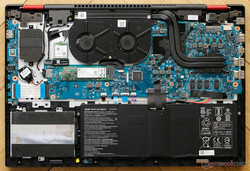 We have found the same Micron 1100 in the Asus ZenBook Flip 15 and its results are very similar there. You simply cannot compare the performance of the Micron 1100 to that of the widespread and popular Samsung PM961. 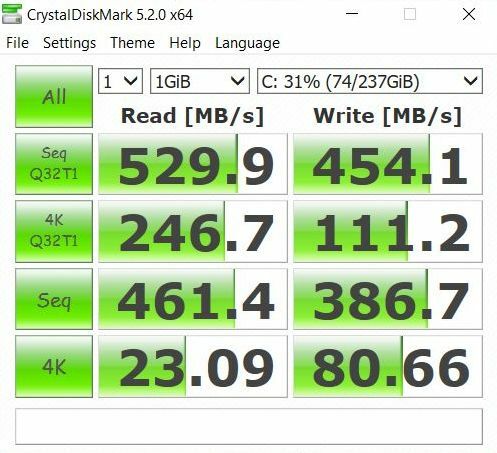 The Samsung is more than twice as fast in the CrystalDiskMark 3.0 benchmark. 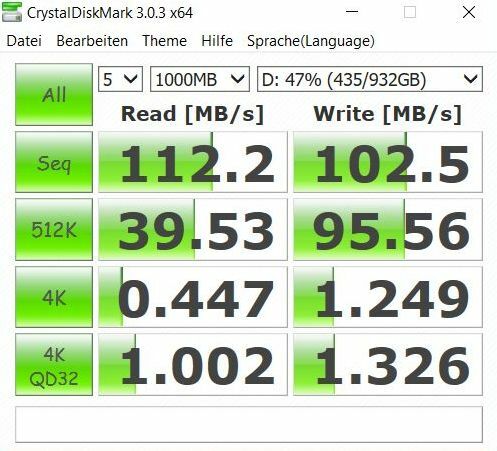 Why Acer has switched from the Intel SSD that was used in the Spin 5 and did a fairly good job there to the slow Micron 1100 we do not know. 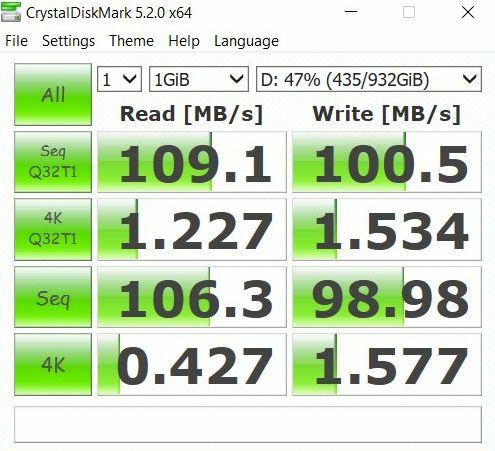 The second storage device, a Western Digital 1-TB HDD, cannot impress us with high read and write rates in the CrystalDiskMark test either. The benchmark performance of the 2-TB Seagate HDD in the Asus ZenBook Flip 15, for example, is a third higher. 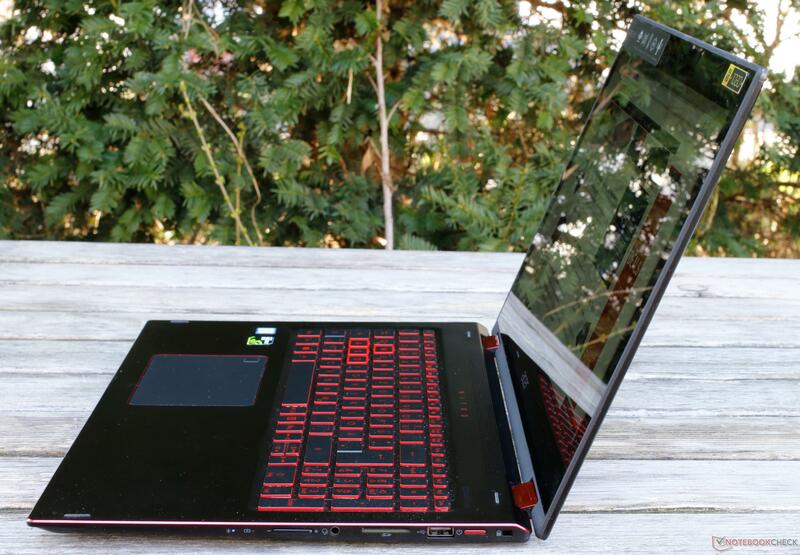 The Acer Nitro 5 Spin, as well as the Acer Spin 5, is equipped with a GeForce GTX 1050 from Nvidia. Thanks to this mid-range GPU, the device can display current games at medium details, and sometimes even at high details. 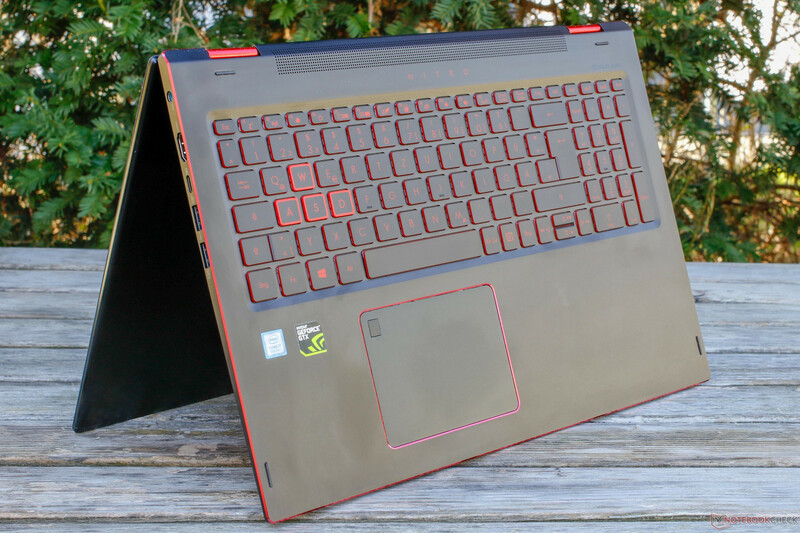 The Acer Nitro 5 Spin should actually be the gaming version of the Acer Spin 5, but as both have the same case and the same cooling system and both are equipped with the same graphics card, the gaming performance of the gaming model is almost unchanged. This is reflected in the benchmark results. Furthermore, the graphics performance of both of the Acer Spin 5 models lies just below the average of all the devices we have tested that were equipped with the GTX 1050. But please be aware that we are still looking at a convertible. Even if the Nitro looks like it intends to score high in the benchmark tests, its cooling performance is limited due to its slim build, which enables it to also be used as a tablet. Let us put it like this: For a convertible, the Acer Spin 5 Nitro offers excellent graphics performance. Basically, all the current games we tested could be played smoothly up to medium details, some games, such as COD WW2, could even be displayed at high details without any issues. 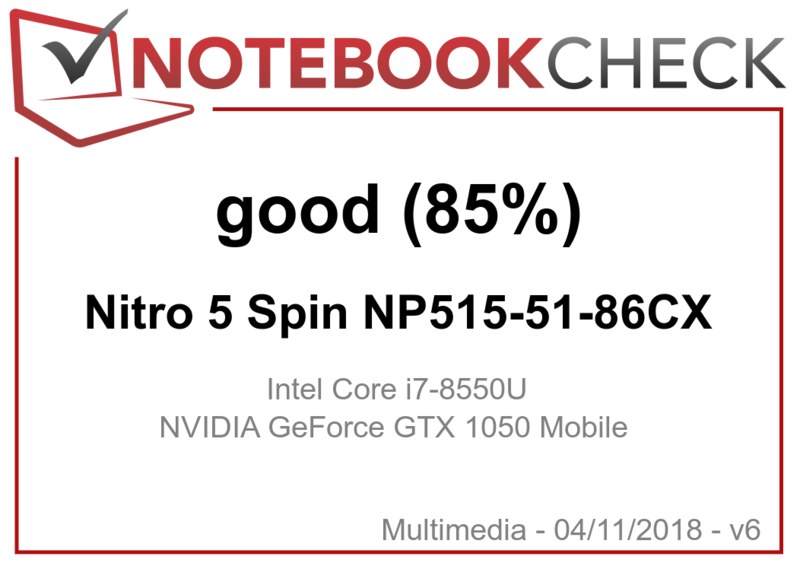 While the performance lies a few frames below the average of what a GeForce GTX 1050 can do, it is like we said: The Nitro is a convertible. It is also interesting to compare the Acer Nitro 5 Spin with the Asus ZenBook Flip. 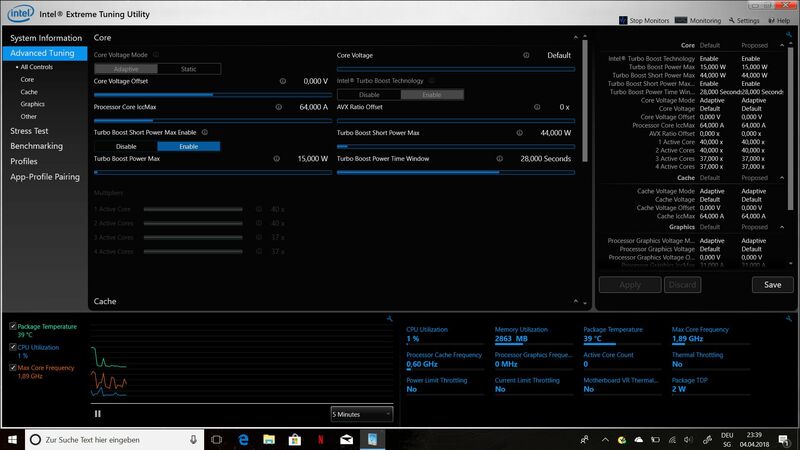 The Asus, equipped with the same GTX 1050, managed to beat all comparison devices in the first two rounds of the Cinebench R15 loop and then remained stable at 750 points for the remainder of the test. In the area of graphics performance, the ZenBook managed to do better than the Nitro at the game "Rise of Tomb Raider" at low to medium details, but both gaming convertibles had very similar results at high and very high settings, which are more demanding on the GPU. We will talk about this aspect in more detail in the verdict, as this might well influence users' purchase decisions. The Nitro is very generous when it comes to audible fan noise. 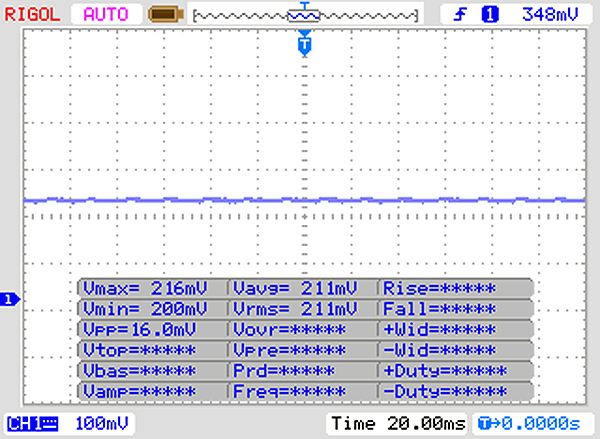 While idling without use of the cooling fans, the system noise is still normal at around 31 dB(A), but as soon as the fans turn up, the convertible becomes louder and louder, depending on the load. At maximum load and full fan rotation speed, it easily reaches over 40 dB(A). The two speakers point to the user in tablet mode - unfortunately, so do the airing vents. 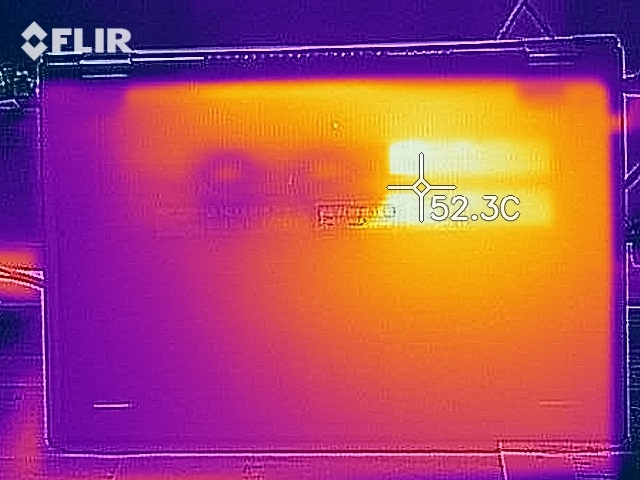 The two fans, which send the hot air out through the back, manage to keep the Acer Nitro below 50 °C (~122 °F). During our stress tests - the FurMark, for example - the hotspot is on the keyboard in the area of the "R", "T", "F", and "G" keys. As the WASD keys, which are so important for gamers, are right to the left of these, you might find that gaming on the Nitro keyboard is a little uncomfortable in summer. 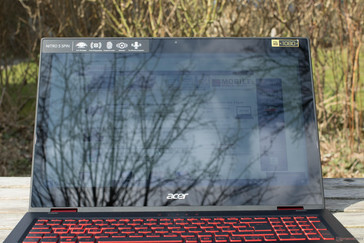 If you do not have an external display, we would recommend using the Acer Nitro 5 Spin as a monitor in tablet mode (with the keyboard facing downward) and connecting an external keyboard for gaming. 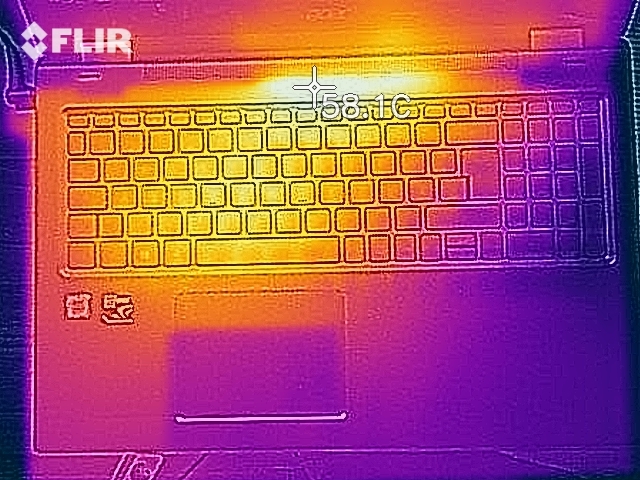 Under full load at 4 GHz, the CPU peaks at 97 °C (~207 °F) and then settles to around 71 °C (~160 °F). 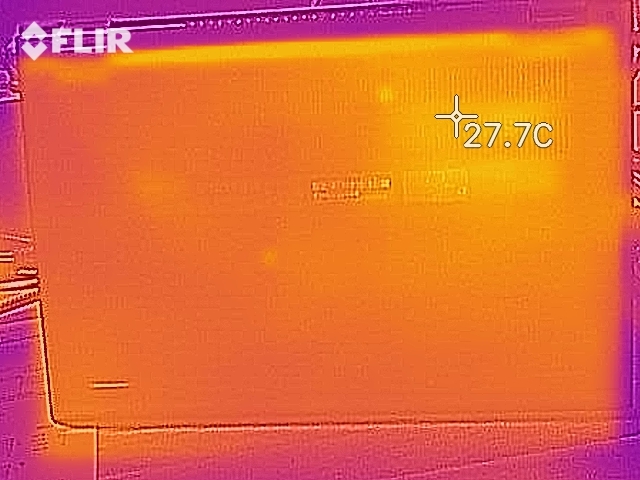 We measured a maximum temperature of 78 °C (~172 °F) during the stress tests; the temperature dropped slightly to a constant 75 °C (~167 °F) under constant load. There are two stereo speakers positioned on the left and right, near the heat pipes. 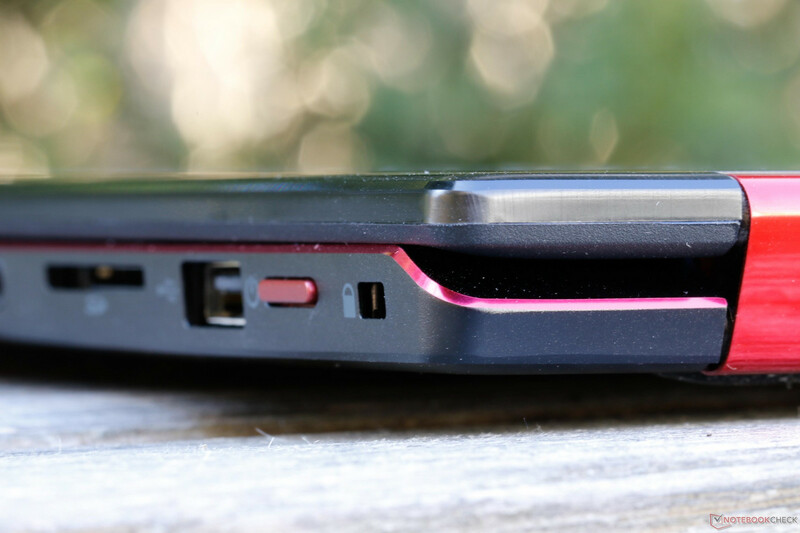 The sound is emitted above the keyboard, as well as at the back, which becomes the front in tablet mode. The maximum volume of 77 dB(A) means that the Nitro is only averagely loud. Although the subwoofer on the bottom should help, the bass quality is still too low. At least Acer can offer very balanced highs. 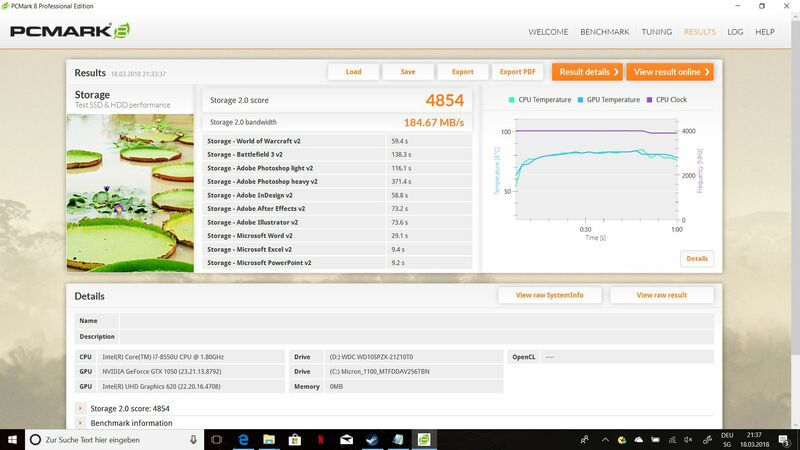 The Acer has good power consumption rates: The Acer is the clear winner in direct comparison to the Asus Zenbook Flip 15, which has a comparable configuration (i7-8550U, GTX 1050, Micron 1100 SSD) but a 4K display that - surprise, surprise - increases power consumption significantly. 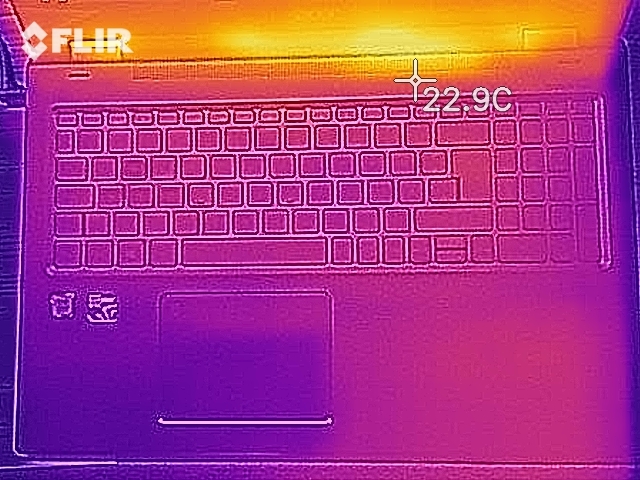 The Nitro can also beat the HP Spectre x360 (a 4K screen again) in the area of energy-efficiency, but falls behind or is at the same level compared to the models with similar FHD displays such as the Lenovo IdeaPad. The included power supply needs 55 minutes to recharge the battery to 50% and another 80 minutes to reach 100%. The Nitro is equipped with a 48-Wh Lithium-Ion battery that cannot be exchanged. On the specification sheet, Acer has claimed that the device has a battery runtime of 10 hours (based on the MobileMark test 2014). 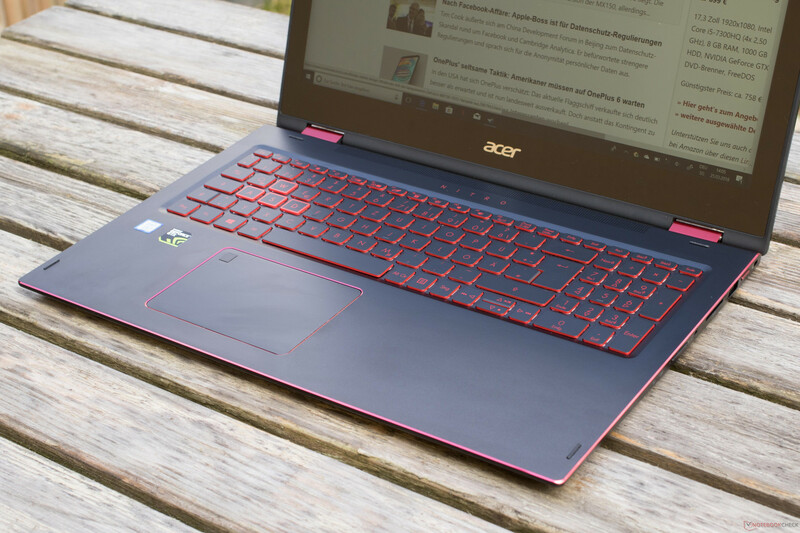 Our battery tests all result in above-average runtimes that place the Acer Nitro in a good light. In the battery runtime table, the Asus ZenBook Flip 15 is 26% below the Acer Nitro despite its larger battery (52 Wh) due to its already mentioned 4K screen.